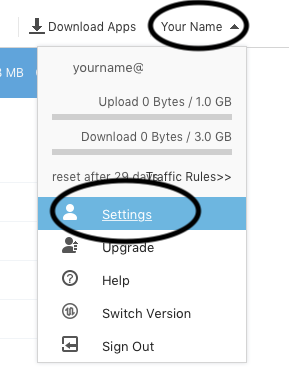 Step 1: Authorize SimpleMind to access your files. 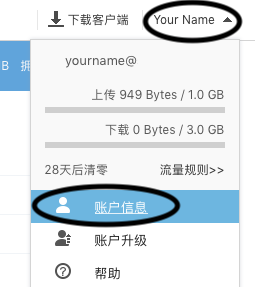 You cannot use your own password to connect SimpleMind to 坚果云 - NutStore. 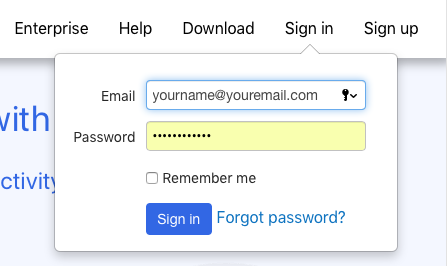 You need an application password. 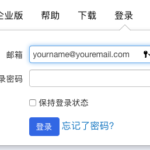 This application password can only be created on the website of 坚果云 - NutStore. 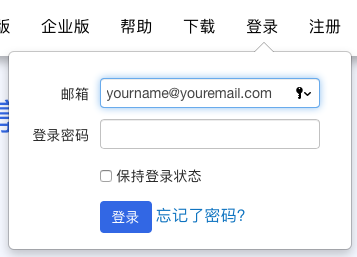 Sign into your 坚果云 - Nutstore account. In the top right corner tap your name - "Settings". 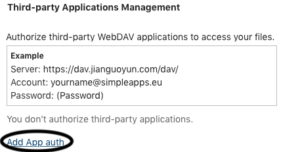 Scroll down and tap "Add App auth"
Enter "SimpleMind" and tap "Add"
An application password is created. Copy this password. To access the application password later, tap "Display" in Applications Management in settings. Step 2: Connect SimpleMind for iPad & iPhone to 坚果云 - NutStore. Open SimpleMind and tap “Mind Maps” to open the Mind Map Explorer. On iPhone tap "Local". 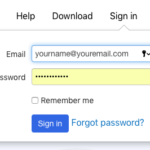 Enter your e-mail and paste the application password you just created. Tap connect. This adds the Nutstore tab in the Mind Map Explorer. Step 3: Copy existing local mind maps to Nutstore. Local mind maps are not synchronized with Nutstore. 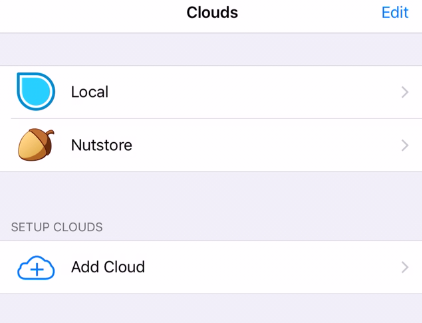 If you want to store and sync the existing local mind maps on Nutstore, you need to copy the local mind maps to Nutstore. This is a one-time copy. Tap “Mind Maps” to open the Mind Map Explorer.On iPhone tap "Local". Select “Local” from the navigations tab. Select the mind maps and tap “Copy to Cloud” at the bottom of the screen. Select Nutstore and the folder where you want to copy the mind map to. Tap “Copy”. You will briefly see the notification that the mind maps are copied. After copying the mind maps successfully, you can delete the local mind maps. They are now mere copies. To do so, go to the local tab, select the mind map and left swipe. Note: You can also copy a single mind map from Nutstore to another cloud or to local this way. 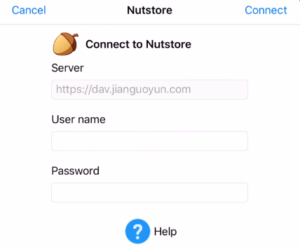 Step 4: Work directly on Nutstore. You can now create new mind maps that are stored directly on Nutstore. All your changes will be synced at regular intervals and at shutdown. 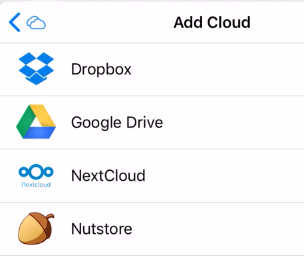 To manually sync, open any mind map in the Nutstore tab. Tap the "share" icon in the toolbar and tap "Synchronize with Nutstore".